We’ve had our eye on Manuel Mota for awhile, Pronovias being one of our best-selling designers, and Manuel being the creative director and all, but the wait is over! We will be carrying this amazing designer at both our Castle Rock and downtown Denver locations, and we already have a few styles in the store to celebrate! The rest of these amazing designs will be arriving at Blue this fall where you can see the amazing lace, feathers, and other uber feminine details in person! 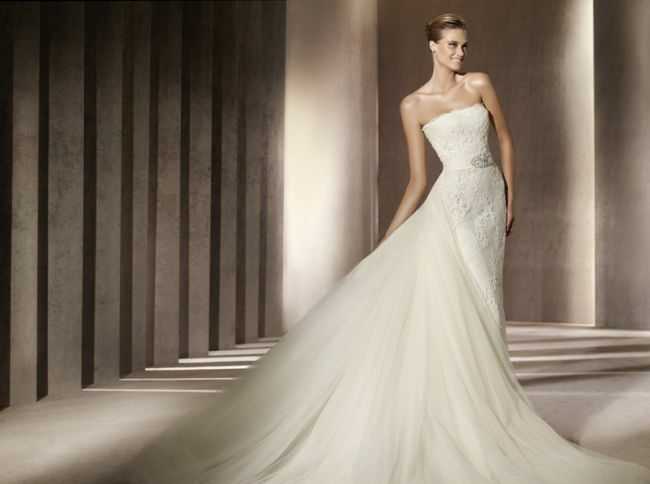 Here are just a few of our favorite bridal gown styles, you can see in our boutiques now!